We all wonder if we would do the right thing if called upon ... even if it meant risking our own lives and sense of self. 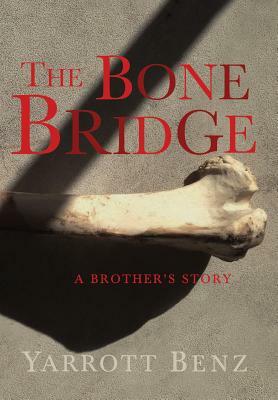 In The Bone Bridge: A Brother's Story, author Yarrott Benz is forced to deal with extraordinary self-sacrifice. This is the harrowing account of teenage brothers, as different as night and day, trapped together in a dramatic medical dilemma-a modern miracle and a modern nightmare. The only case like it in history, the true story unfolds over thirteen years as the two brothers navigate through their enmeshed lives with all that they feel for each other: hatred and love, rejection and acceptance, disdain and respect. Despite painful and violent conflicts, Yarrott must bear the full responsibility of keeping his brother alive. In our world of the individual, where careerism, ego and personal gain are key, The Bone Bridge describes a vastly different human situation. It is a beautifully crafted, affecting story, honest and raw, and also one in which the reader invariably asks, What would I have done?